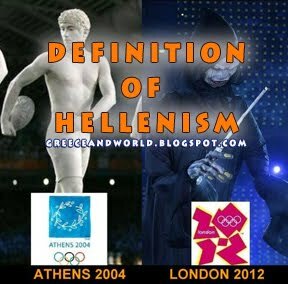 GREECE AND WORLD: EXCLUSIVE! Document - Bomb the E.N.D. offers 5 billion dollars for the salvation of Alabama! 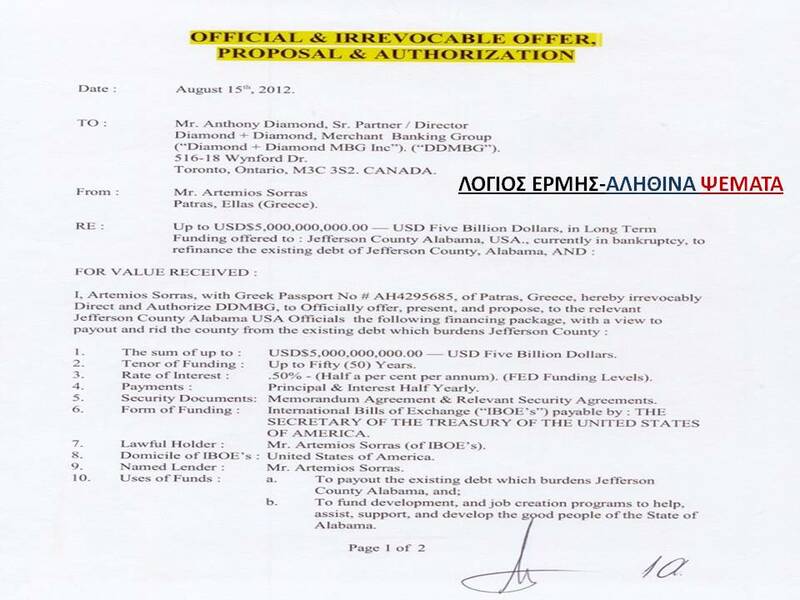 An incredible document fell into the hands of Logios Hermes website yesterday afternoon, proving that the END and "Billionaire" Artemios Sorras, made ​​a 5 billion dollars offer to the Board of the State of Alabama(!) to prompting that the money must "fall" in the market of Alabama in order to avoiding formal bankruptcy and a part to be allocated to welfare issues for homeless or unemployed! 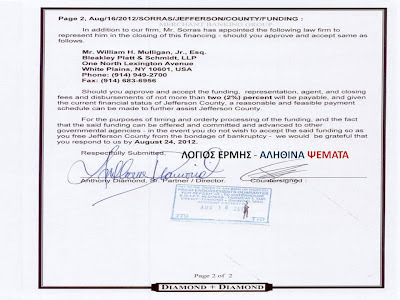 The document of the offer filed on August 16, 2012 through attorneys brand Barcley, Platt & Schmidt, LLP based in New York, a REAL brand with data, phone, address, etc. We contacted to ascertain the truth of the existence of the law firm ... a we had a positive result. Our respondents, did not reveale more data to us because of the "danger" that exists in the U.S. legal issues relating to their customers. 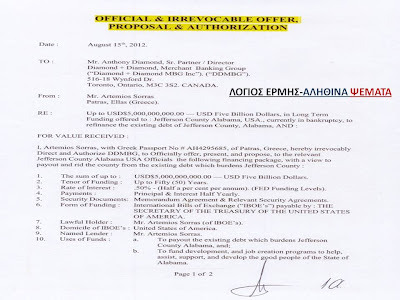 The offer is through ... the "nonexistent" for many, mediatory banking firm Diamond & Diamond, located in Toronto, Canada and at 516-18 Wynford Dr, Torondo, Ontario (following telephone, fax and Miles Company) instructed by their client, Artemis Sorras. 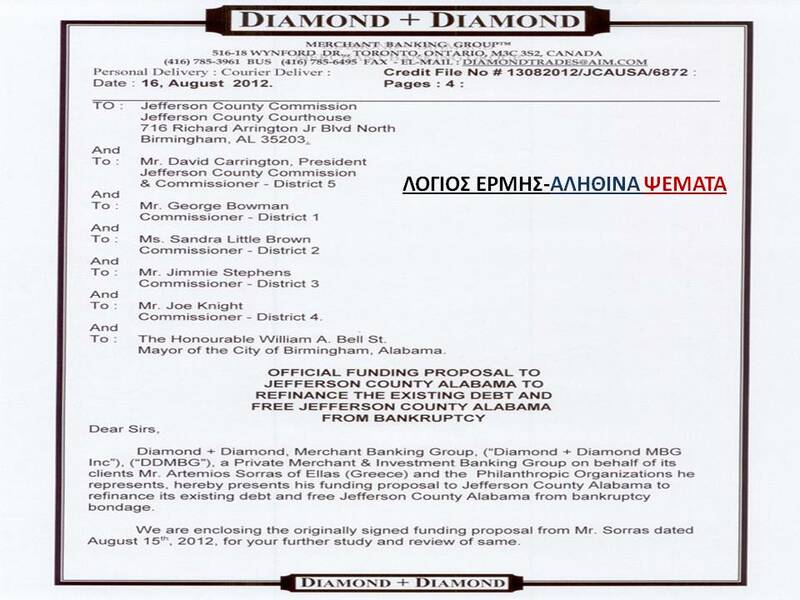 The offer is addressed also to various state officials in Alabama, among them the Mayor of Birmingham. 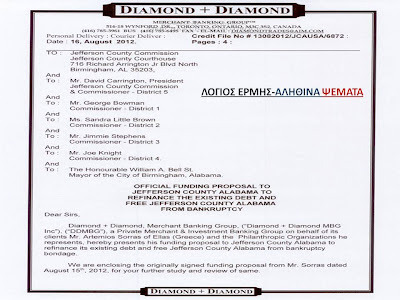 As you will see in the documents below, the text of the offer Mr Sorras is offering the amount of 5 billion dollars of a symbolic rate 0.5% in order, the state, to avoid bankruptcy, and the money to be marketed in Alabama, creating new jobs and simultaneously to be ensured to those in need! The disarming point of all this, is that the execution of the payment will be made by the Secretary himself of the General-Treasurer of the United States, which is solely responsible - by law - to make such payments and credits associated with state funding! 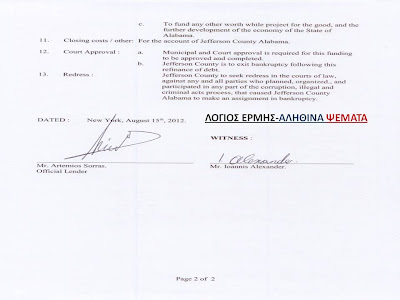 Also, at the last page of the offer, you will see the signature of Mr Sorras, one witness (Mr John Alexander (Ioannis Alexander) and the second page of the document accompanying the Diamond & Diamond, the signatures of the chief executive of the banking firm as Anthony Diamond and endorsement certifying the authenticity of the signature and stamp Diamond's house approved credit! Now, let's see ... the validity of this document. 1) The document appears to be valid and we say "appears" because it gives ... too many items to be invalid. 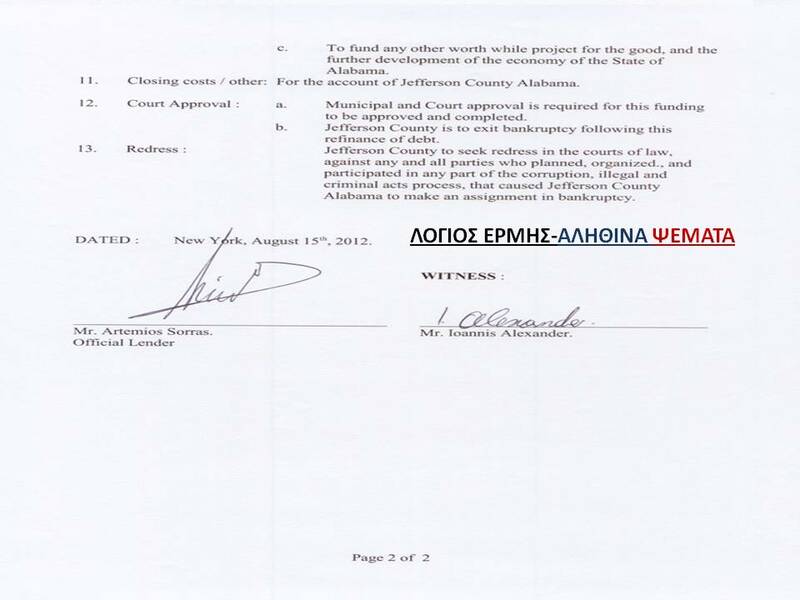 3) If the document is valid, but the money ... is nonexistent, then the Central Treasurer will order a preliminary examination and issue a request to the Attorney General of New York to Artemios Sorras to be arrested for fraud against the U.S. government (20 years imprisonment penalty) and against attorneys brand Barcley, Platt & Schmidt, LLP filed by the money ... offer. 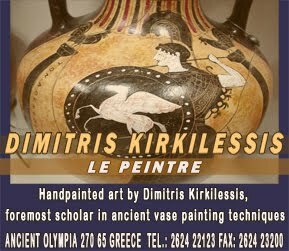 4) If the document is a forgery in its entirety, will erupt scandal of such a scale which will sweep all involved in a really difficult judicial adventure and first of all Artemios Sorras! 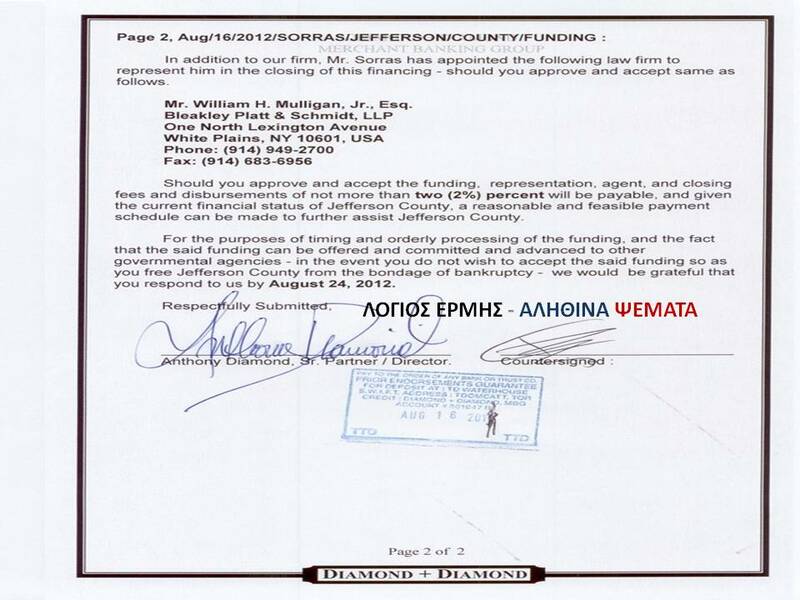 I heard on The Papadakis morning show that END is being taken to court for fraud!??? It is of my opinion that if the money is truly there for Greece, Greece will not accept it because of the interests of Germany and other Banking Interest groups. 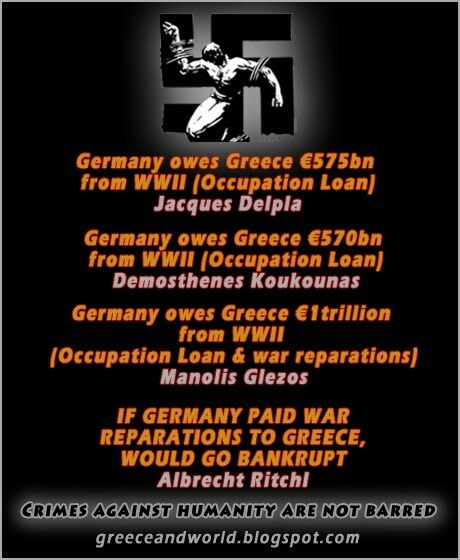 It came to my attention today about the $600 billion already available for Greece!!! I would like to know where the money is coming from? Unless it involves the US treasury!!!! Hands on such astronomical result!!! The constitutional changes you are seeking for such refinancing to take place. 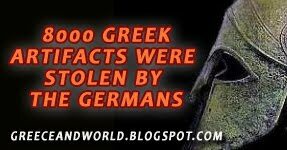 I will follow the story closely and see who will be chased out of Greece with the shovels and sticks or who is going to be locked up for fraudulent documents. 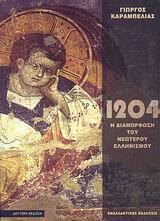 Let see if you going to be the 13th God of Olymbous ( mr Lambraki)!!!!! Greek jails will be full of corrupt offiials when this is all over and I do not believe that Mr. Lamraki will be one of them ..Greeks will judge there own, Mr. Labraki has only the truth to offer...why are you so worried about the truth ? Greece & Greeks will not be fouled by misleading information. There will be no secrets left and this seems to be the problem.